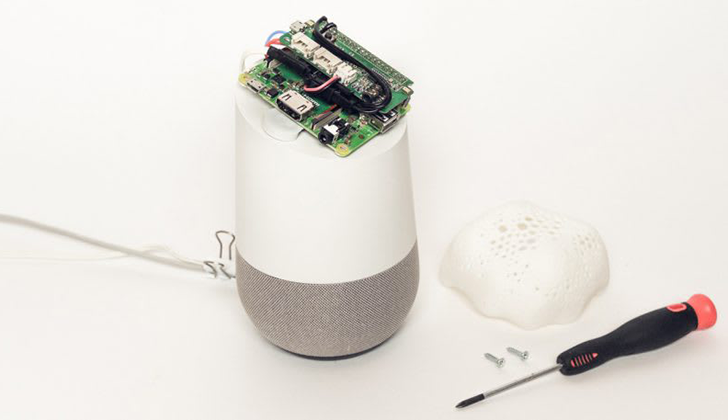 The open-source project essentially boils down to putting a techie tinfoil cap on your digital assistant device. The cap, created using a Raspberry Pi, two speakers, a mic array, and a 3D printed shell, looks, and kind of acts, like a parasitic fungus. Once you place it on the speaker it deafens the home assistant with inaudible static noise, rendering it useless. 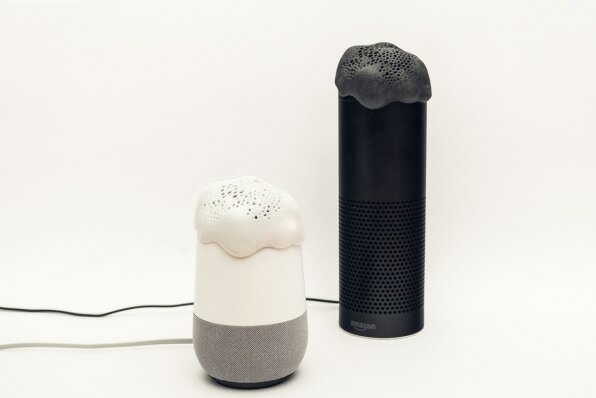 However, you can train the little gadget with local machine learning to listen for your custom hotword - it could be "Merlin," "Zoidberg," "Voldemort," or whatever you like. Once the Alias device hears your hotword, it turns off the static and quietly says "Hey Google," or "Alexa" to wake the assistant. From there, you can operate the assistant as usual, and when you're done, the static returns. Of course, this isn't the most elegant solution. Breaking into the shell and making an internal hardware adjustment would be more graceful (though it wouldn't be a simple task). It also seems pretty evident from the Project Alias video that you'll have to contend with a longer delay before the real device starts listening, making commands awkward. What's more, looking at teardowns of the Home and the Echo, it seems the Alias will obstruct the sensitive far-field mics, which would mean you'd have to be close to the assistant for it to hear you - and it's unclear how the mic array Project Alias recommends compares to the Echo or Home's array, quality-wise. All that being said, it's still a relatively simple and (crudely) effective hack - and beyond that, it's just nice to see maker communities coming up with creative ways to hack hardware that's becoming increasingly ubiquitous in our households. Here's hoping there are more tinfoil hat equivalents in our future.